So a sales rep is dropping by your bookstore to talk about some new books they think you should be carrying. They're bound to be armed with compelling marketing copy, reading copies, and maybe even a few graphs. Are you ready? To help you speak the same language as your rep, we recommend running these three SalesData reports before the meeting. These reports can provide you with some details to discuss, so that you and your rep can collaborate on finding suitable titles for your store, identify titles you may have missed during last season's buy-in, and look for titles that should likely be returned to make space for new stock. The first step, of course, is having an account with SalesData. Don't have one? Retailers can sign up for free at booknetcanada.ca/retailer-sign-up. The question you're trying to answer with this report: What are the 10-15 titles that are selling well in the overall market, but aren't currently stocked or selling in your store? Report you're going to run: Gap Analysis – Buying Gaps. This report will show you the bestselling titles that were stocked and sold in the overall market, but weren't stocked or sold in your store(s) during a selected time period. Go to the criteria page for the Gap Analysis Report, and make sure the first 'Buying Gaps' tab is selected. For the 'home market' select your store(s) from the drop-down. For the 'comparison market' select the market you want to compare yourself against. You can keep the default selected, which is 'All Markets.' If you have a 'Peer Group' or another similar group to compare against, use it. You can now click 'Run Report' to see the results. This is what we recommend the first time you run the report so you can see the kinds of titles that come back. On the results page, you will see a list of books ranked in order of units sold in the comparison market. The rows under 'Home: Your Store' will indicate how many units were (or weren't) sold or stocked in your store(s) for each title, generally noted with 'n/a' in that column. These are the titles you're missing out on! Feel free to click on the ISBN for any of these titles to see their detailed sales history and other bibliographic data. If you're a specialty store, e.g. a children's bookstore or specializing in a particular category, you will want to filter by subjects relevant to you so you're not shown the latest Thriller that you may never want to purchase. Review the data for regional titles. If these are outside your region, you can block them from appearing in your report. To find out more, read the SalesData Help Manual on blocking titles. You can proactively use this report to identify Canadian-authored titles that may not be on your radar. Use the fields under 'Filter by' on the criteria page. The question you're trying to answer with this report: Are there titles selling in your store(s) that have sold a higher than average percentage of their stock in the last week? Report you're going to run: Bestseller Report. This will bring up the top-sellers for your store(s) and let you sort by % Sell Through in order to find these fast-moving titles. Go to the criteria page for the Bestseller Report. 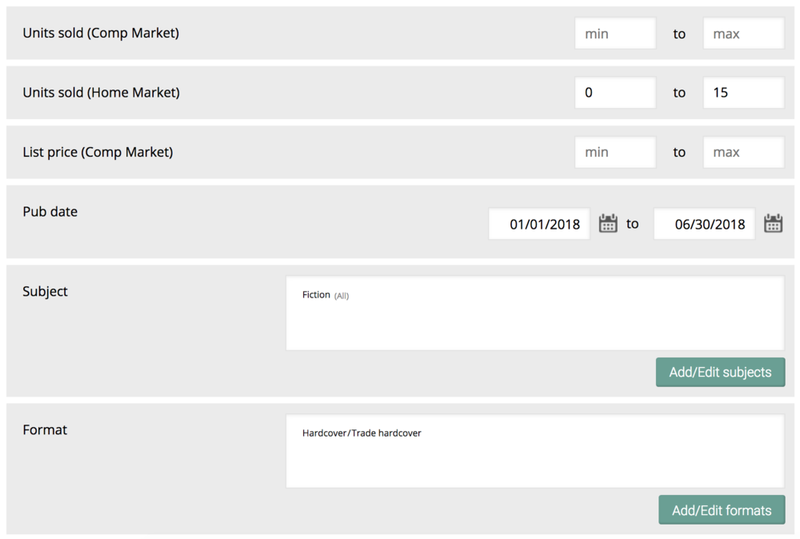 For 'Select a market' choose your store(s) from the drop-down. You can leave the rest of the fields set to the defaults, but feel free to tailor the criteria to certain subjects, publishers, etc. if you want to narrow it down. Click the 'Run Report' button. On the results page, click on the 'Customize Columns' button (top-left above the table) and check the box for % Sell Through under Inventory. Click 'Apply Changes' and scroll to the left of the table, looking for titles that have a % Sell Through* of more than 10%, or whatever makes sense for your business. You can click on the column heading to sort by descending order. These fast-moving titles may benefit from a higher in-stock position, and if you have multiple locations, they could work in more stores. Remove any titles you know were special orders. If you're finding a lot of titles with high sell through, filter out titles that have a pub date within the last week or so; these will naturally have a high sell-through. The question you're trying to answer with this report: What books do you have stocked that are selling well in other markets, but not in your store? Report you're going to run: Gap Analysis – Inventory Performance. This will let you isolate titles stocked in your store that aren't moving compared to a comparison market. Go to the criteria page for the Gap Analysis Report, and select the 'Inventory Performance' tab. Select a timeframe for your reporting period. For this exercise, let's go with 13 weeks. Under 'Filter by' you can narrow down the titles. 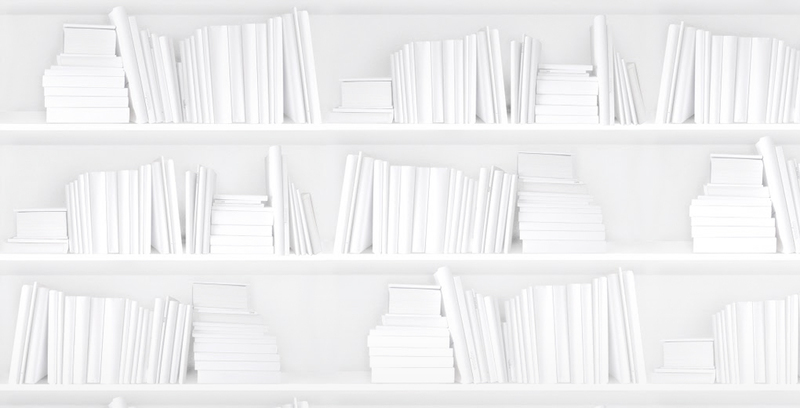 We suggest a pub date range within the last six months, hardcover format, and fiction titles. If you also set a relatively low maximum on the 'Units Sold (Home Market)' threshold, you can isolate books where sales have slowed down. Run the report. Under 'Home: Your Store' double-click the 'On Hand' column heading to sort by descending order to see which titles have the most copies on hand that aren't moving. These are the titles you may want to discount, reposition, or return.